Goin’ Bananas… | Hapa...Shot the Food! Directions: Combine Mixture #1 and Mixture #2 with electric mixer. Preheat oven to 300 degrees. 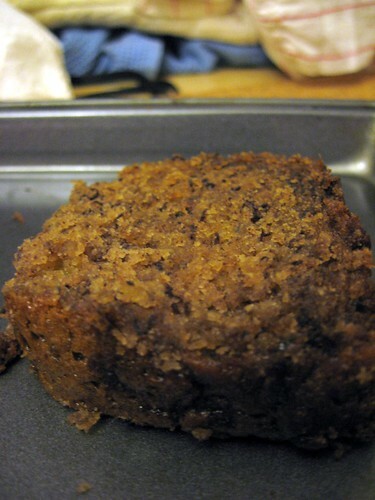 Grease bread or cake pan (or spray pan with nonstick cooking spray), then pour in batter. Bake for 45 minutes or until toothpick inserted into the middle comes out clean. 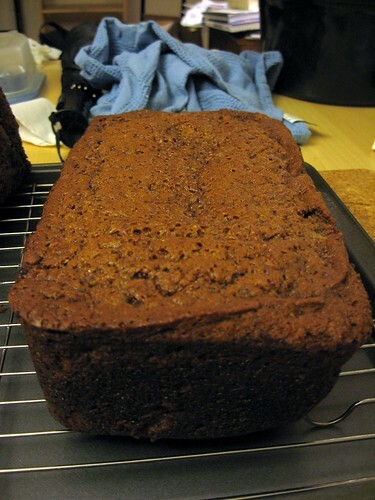 Note: If you’re using a bread pan, expect to double your time in order to ensure the bread’s cooked all the way through. Walnuts and shredded coconut are usually omitted when I bake this at home; Dan dislikes the former, and I loathe the latter. I also end up mixing everything with a spatula and lots of elbow grease, since I don’t own a hand mixer. The added benefit (other than the arm workout)? 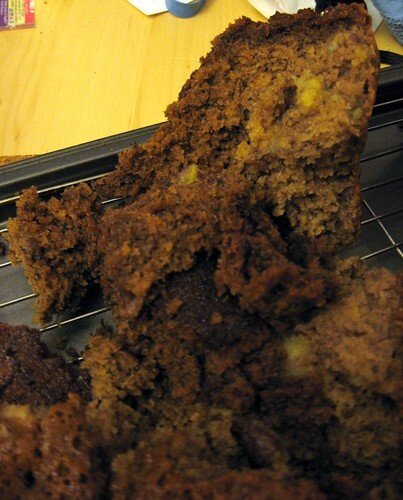 Banana chunks end up embedded in the bread, which ends up adding to the overall dish. 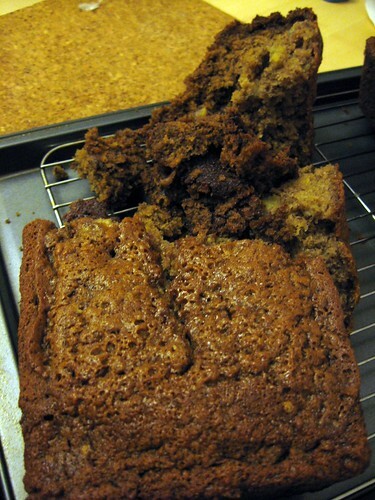 Oops… I broke the first loaf! I love two things about my family’s banana bread recipe: 1) It has more of a cakelike texture than a breadlike texture so it’s moist and sweet. 2) You can substitute mangoes for the bananas… and likely other things, too. 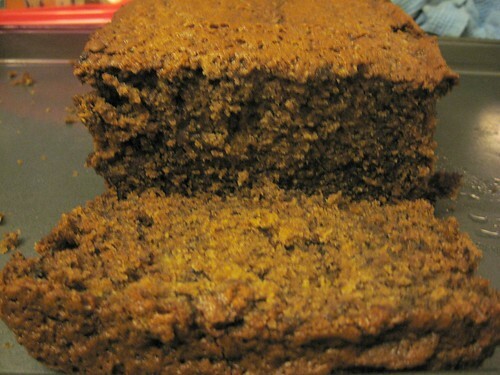 Posted on November 5, 2008, in desserts, recipe, Uncategorized and tagged baking, banana bread, bananas. Bookmark the permalink. 2 Comments.